In this article, you will learn how to generate a CSR code and install an SSL Certificate on H-Sphere web hosting Automation Control Panel. 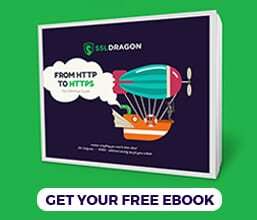 You will also discover a few interesting facts about H-Sphere’s history, as well as find out where to buy the best SSL Certificate for your H-Sphere platform. If you’ve already created a CSR code and applied for your SSL Certificate, feel free to skip the first part of this guide and start with the installation instructions. 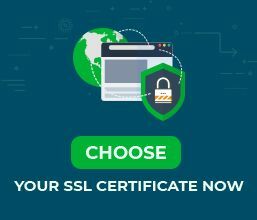 Where to buy the best SSL Certificate for H-Sphere? CSR stands for Certificate Signing Request, a block on encoded text containing your contact information. Generating your CSR is a requirement when applying for your SSL Certificate. The CA (Certificate Authority) uses the CSR code to verify and authenticate your website’s and company’s identity. Country: from the drop-down list, select your country. You will use the CSR when ordering your SSL Certificate, and the private key when installing it on your H-Sphere platform. After your CA sends the necessary SSL files to your inbox, download them to your desktop or the server where your CSR and private keys reside. Congratulations, you have successfully installed your SSL Certificate on H-Sphere. After you install an SSL Certificate on H-Sphere, you should run a quick test and check your new SSL certificate for potential errors and vulnerabilities. We have an entire article on our blog, describing the best SSL tools to scan your SSL installation. H-Sphere is a web-hosting Automation Control Panel, designed for shared web hosting services. Initially developed by Positive Software, and later acquired by Parallels, Inc. in September 2007, H-Sphere runs on Linux, Unix and Windows systems. It also supports MySQL, PostgreSQL, and Microsoft SQL databases. The latest stable release of H-Sphere is 3.6.3. SSL Dragon’s prices are the most competitive on the market, while our first-class support team is highly appreciated by our customers. If you don’t know what type of SSL certificate to choose, use our SSL Wizard and Certificate Filter tools. They will recommend the ideal SSL product for your website.